The idea of Global Salafi Jihad has been something that I have been thinking about since the demise of OBL and now Anwar and his cohorts at Inspire (Malahem) and it seems reasonable to me that this is the natural next step in the jihad movement. The term “Global Salafi Jihad” denotes that the jihad has switched from the loosely based Salafist ideals put forth by AQ and is shifting back to the more rigid beliefs of the Salafist. The exhortations of AQ online and other, have been curtailed since the deaths of OBL and Alawki with the media wings only putting out the usual rhetoric that it has been unable to substantiate with actions. It would seem that in the case of the Western jihadi’s that they hoped to induce into jihad, the AQ team has failed to really produce the desired effect and have waves of Western jihadi’s who activate and wreak havoc here and abroad. In fact, there have been 176 cases of self radicalized jihadi’s in the US and only 2 of them actually went on to physical attack mode with firearms. So, it has been a lackluster performance and AQ knows this. It is my thought that the next turn will be more toward radicalizing actual Muslims with the tenets of Salafi belief. Whether or not this will take the shape of online exhortations or the more localized indoctrination at mosques is the real question. Again though, shifting back to this position I feel, is the only way to go about getting their desired goal of creating zealots who are willing to become shahid for their cause. It is finally becoming clear to them that the Western kids are just that, Western, and not really inclined to doing much other than talking about jihad as living out those fantasies online, much as they do with video games. Net/net this means a kind of indoctrinal brainwashing… One that really will pivot back to the lands of the Ummah as the training grounds. This however will not be the true ideal of “Global Salafi Jihad” but it will be the only way I think that they can see toward keeping their movement relevant and alive. The other aspect of this line of thought is that the theories of Dr. Marc Sageman will come to play and there will be “groups of guys” who will coalesce together in places to eventually take up jihad and Salafi beliefs. Dr. Sageman’s premise is that for the most part, the jihadi’s that have come about and actually carried out attacks were not trained in madrassa’s from childhood, but instead tended to be 2nd generation Muslims living in countries that are not predominantly Muslim. In fact, many of these guys were not radical at all until they began to feel a certain discontent with where they were in life and sought to learn about their heritage. There seemed to be something missing and when they started looking, they came across the AQ doctrine and gravitated toward it for a few reasons. Much of the same ideas play out in the online jihad as well, but seem to not get the real life spark that is required for the actors to really activate and play their part in reality as opposed to their idealized and fantasy life that they can easily sublimate their desires with online without having the danger angle. In the cases that Dr. Sageman looked into, these players got together and as a cell, in person, worked out the details and egged each other on to actually doing something in real life. And this is a key difference today. Going back to the online jihad, we see this egging on and inspiring speech within the bulletin boards, but the reality is that each and every one of these players is alone in a room somewhere typing on a keyboard. Once disengaged from the internet, they do not have the physical presence and the motivation to actuate. 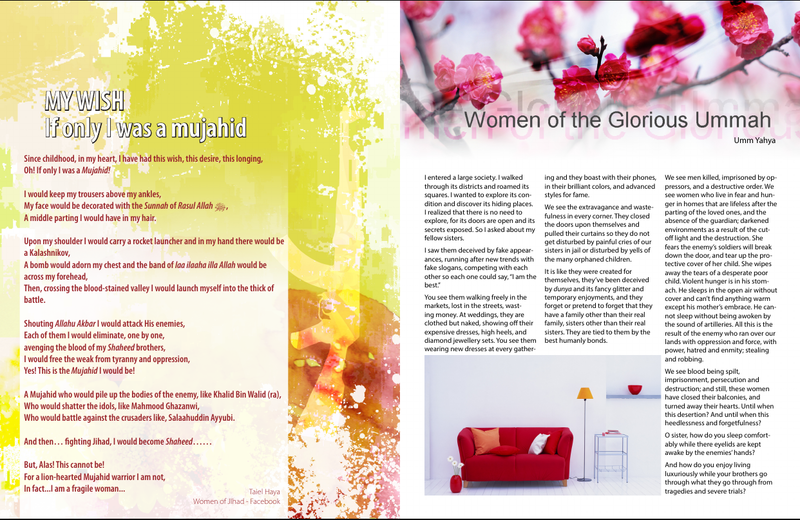 Since the death of Anwar Alawki and his cohorts, Inspire magazine has been off of the digital shelf. This magazine was the closest that the AQ set had gotten to being hip and cool enough to garner attention from the Western kids. Now that it is gone, the one conduit to perhaps creating more lone wolves went with it. 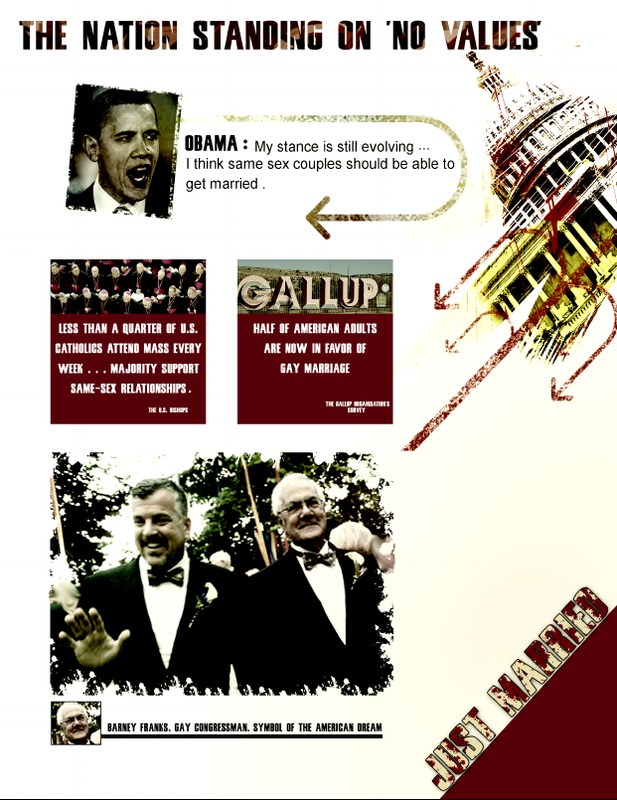 However, even this magazine had issues with trying to get the masses to heel to and do their bidding. This is something that they also lamented a bit in the propaganda and planning materials and I have written about in the past. Now that this is gone, and as far as I know there are no players to fill the void, this has dealt a real blow to the online jihad and once again tips it back to the old model of Salafi jihad taking over where the Mtv AQ set has left off. This is problematic for AQ as the Salafi mindset is more than certainly not one that the Western mind and the kids here today really get, so, I am sensing an overall failure to inspire the kids with it sans something like Inspire Magazine. The question then becomes is there anyone to step up here? Perhaps Gadahn, but, he is really not that inspired himself nor inspiring for that matter. The right word for Adam is pedantic I think.. He and Ayman are much the same in reality… Uninspiring old men yelling at the world to get off their lawn. The use of Net 2.0 and Social Media however has been an important feature to the online jihad. 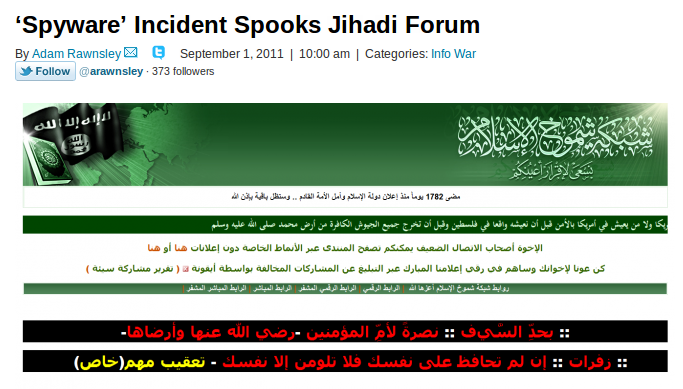 Today there are numerous sites out there with Jihadi content and themes. 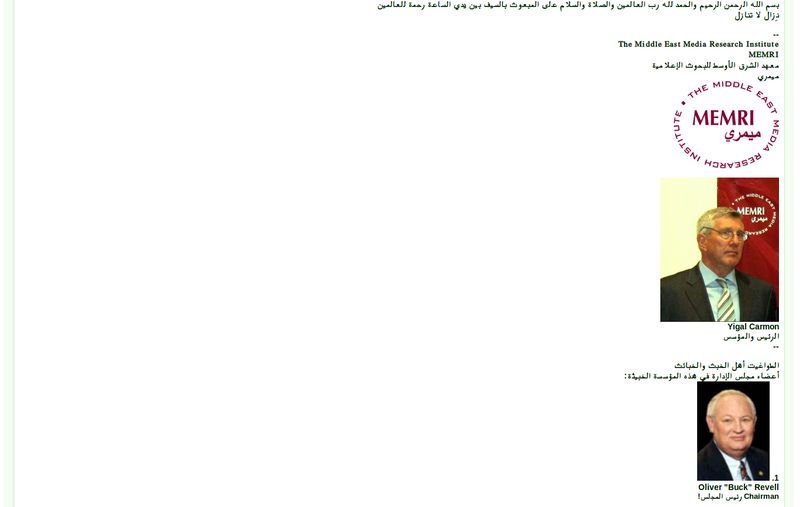 These sites as I mentioned above, have only nominally created any kind of serious jihadi’s though. The problem with these sites though from my perspective is that C&C for those who would self activate or those “groups of guys” out there who create their own cell autonomously, can get direction and support from these sites. I would say that 95% of the traffic on these sites are just kids playing “Jihad” online but there is a very real aspect of command and control here that should be recognized. Inspiration as well is another key factor to look at too as these sites can attract those seeking excitement and direction. Those that want to get indoctrinated can then easily get the materials and the chat to move further toward their evolution of becoming the next wanna be shahidi making a crude device in their basement or chatting with others about aspirations of shooting up a mall. Fortunately, the use of these sites has been a boon to the likes of the FBI as they are able to obtain attribution on their users as well as insert players into the game to lead them into traps and roll them and their aspirational plans up with stings. However, as I pointed out earlier, it seems that nothing can replace the actual proximity of individuals to each other in real life to get them to actuate their plans beyond just talk. This is a key factor and why I now feel that the online jihad is a failure and will continue to be so. You can network all you want, but human nature plays a key role here. It’s easy to just sign off, create a new ID and be anonymous online as people jeer at you. In real life, that social embarrassment and pressures involved in real life social interactions are the main reasons that others have re-enforced each other to acts of jihad. The paradigm change though I fear has been fomenting with the likes of Anonymous and their online movement. If the jihadi’s actually acquire online skills in the hacking sphere as well as figure out how to inspire and energize the more savvy believers online, then we have more problems. Recent events with regard to ICS and SCADA system vulnerabilities has shown that there is a potential for online mischief that AQ could leverage. These types of attacks would not be world ending and nothing close at all to what happened on 9/11, but instead would further the tenets that OBL laid out with regard to a “Death of a Thousand Cuts” type of warfare against the US. It is my belief that this is potentially the new battlefield that AQ could leverage where the Western kids who gravitate toward jihad would be willing to take up digital arms. This paradigm would work for both the AQ core and the wannabe’s out there online who are unwilling to blow themselves up for Allah. With the idea that the internet offers anonymous ways to attack the powers that be (ala Anonymous) then I believe that AQ has a greater chance of inspiring followers to action and thus to potential real world acts of digital terrorism. Acts that would not cause mass casualties on the whole, but would cause the government here to spend much more money and time on the “digital war on terror” and once again put fear into the populace who will now worry that their water will be cut off, or polluted with feces. Only these types of attacks, with real world consequences will be at all effective in furthering the jihad. Defacement of pages etc, is just skiddie stuff that will serve no greater purpose. Just one hack though on a power plant or more likely a water facility in podunk illinois will set the media and the chicken littles into a tizzy though, and that will be a media win for the jihad. Once this happens and is claimed by the likes of online jiahdi’s then we will have a problem because this will give them the air that they desire and AQ will leverage that. Generally though, I am feeling of late that the AQ message has been diluted by the deaths of key players and the squeeze we have placed upon the organization. The marketing of AQ to the masses online has been damaged with the loss of Alawki and his boys (inspire) even though they were still grappling with a working formula for their brand of jihad online. Now that the old man (Ayman) is in charge, I expect that the dictum will fall back to the Salafi system of thought, and that is a tough one for the Western kids to get in line with. Unless AQ gets hip or learns that the digital space is up for grabs and acts on it, I frankly see the movement as going back to its roots. There will be an amount of time where AQ will have to inculcate more jihadi’s out of the next generation of kids in madrassa’s and this will take time. More and more the movement will have to be relegated to the steps of the tribal lands where it will fester.. Unless Pakistan gets in line and dismantles the ISI support for them and cleans out Waziristan. Not too likely at present. So, the core will go on. They will continue to try and get their message out, but it will go to the net 2.0 generation who really aren’t so much into blowing themselves up nor are they that devout. So where does that leave us? I think that overall, we are going to see another shift in AQ and Jihad in general. The online jihad experiment has failed and I think the smarter ones in AQ know this. They will go on to re-tool and re-group while trying to avoid being hit by a hellfire launched from a predator. The only problem that I can foresee is the idea that they will learn something from the Anonymous movement and work more within the digital sphere. Not so much recruitment… Until they have a success with a digital attack… Then the jihadi skiddies will come out of the woodwork. Until then, we will have some more “get off my lawn” dispatches from Ayman.. And that’s about it. It seems that a drone/air attack in Yemen has taken out two key players in the AQAP and Al-Malahem Media organizations in the deaths of Anwar Al-Awlaki and Samir Khan. 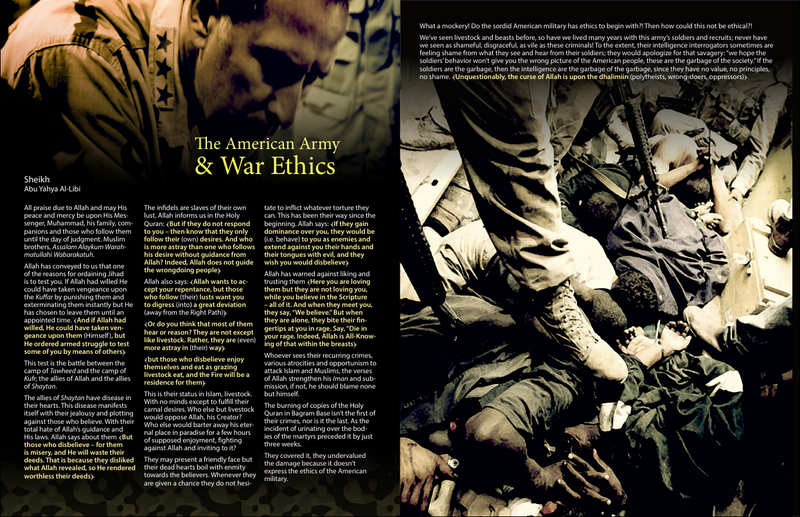 Awlaki, the American “cleric” who made his way to Yemen to be the spiritual and charismatic head of AQAP (Al Qaeda in the Arabian Peninsula) evidently was in close proximity (and makes sense given their org) to Samir Khan, former American as well, who became the creator and editor of “Inspire Magazine” and the Al-Malahim Media group. This one strike will place AQAP as an organisation as well as Al-Malahem, into a tail spin from losing their mouthpiece and their propagandist. …And I am just fine with that. Hey Adam.. You’re next pal. 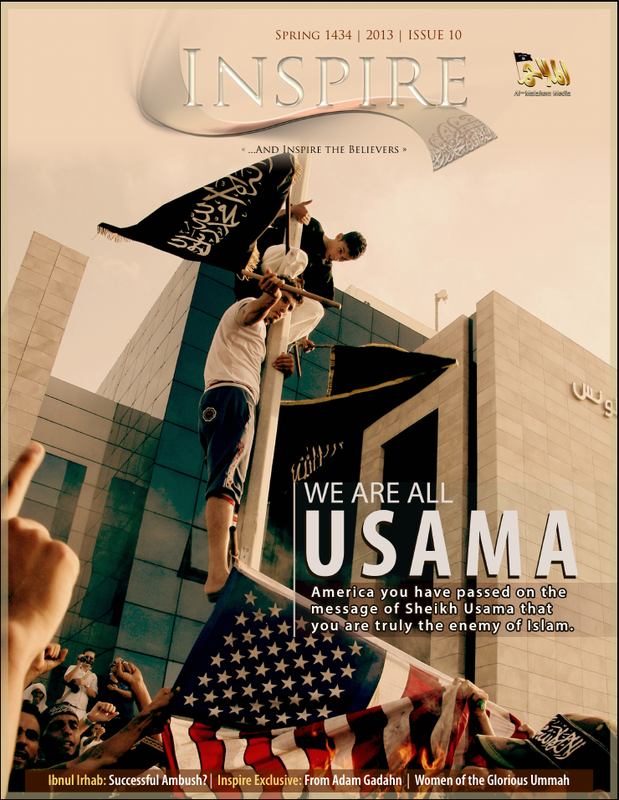 It is interesting timing for all of this too as the “media jihad” as it was called in the last issue of Inspire, was for all intents and purposes, still just spinning up in many ways. Samir and Adam and others in their crew had just really been getting into the swing of being the media arm of AQAP with Inspire and the videos etc. They had been groping along on how to really carry all this out up till now, though, it seems like the last issue of Inspire was a haphazard and perhaps hurried issue? The content was thin and seemed to me like they had been otherwise occupied.. One wonders why… Perhaps their ranks were on the run? Today’s news might in fact be the end game to that puzzle huh? In all though, I think that this will deal a great blow to AQ and AQAP’s media arm. We will be seeing less out of them and I am pretty sure that it will take some time for them to get others to take over the rolls who are adept at it. 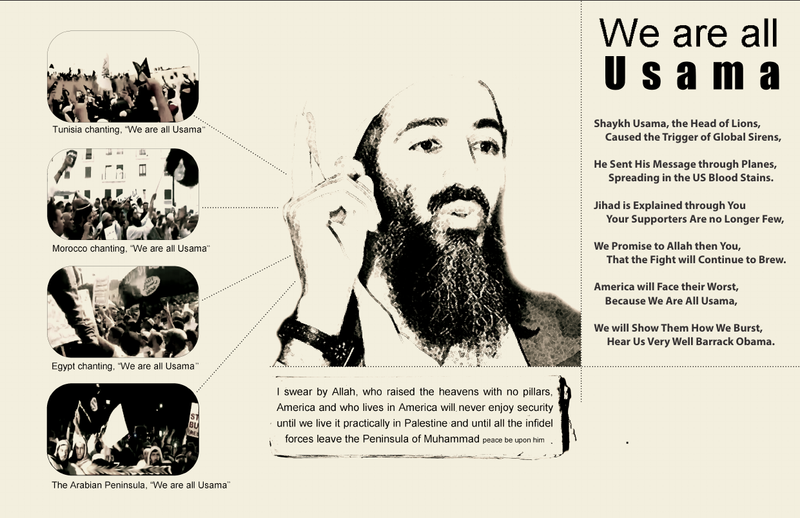 Most of all, there will likely be no other charismatic leader like Awlaki showing up soon. 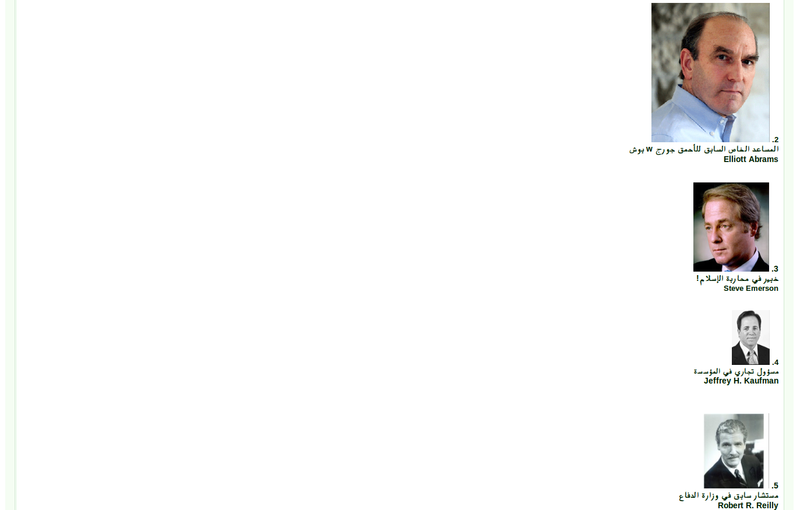 Ghadan is not all that and we have seen little of him lately, so I am assuming that they will be quiet for a while. Now, as to why this is REALLY important, well, as you saw in my analysis of the Inspire 7 issue, the “media jihad” is really their only way to resuscitate the jihad in many ways as I see it. They have been really trying to fight this recruitment battle on the internet with all their magazines, sites, and videos. Now, the real media wing that has been so prevalent in trying to create more Rezwan Ferdaus’ is now hurt pretty badly. Just as is the spiritual leadership (more rhetoric to me) of Awlaki was a beacon for the likes of Rezwan or someone else like the michiganmujahid who often writes about his hard on for Awlaki. So, my one real hope is that not only did we remove the problem of a couple of influential guys, but also cripple the media org at the same time. Meanwhile, on another side note to this story… For anyone and everyone talking about the assassination of a US citizen, I would have you know this. He was no longer a citizen by my standards. He left the US, he joined AQAP in a lead roll, and he renounced his citizenship in videos on a couple occasions. So, no, we did not assassinate a US citizen. We instead assassinated a NON STATE actor in an action during a two front war. 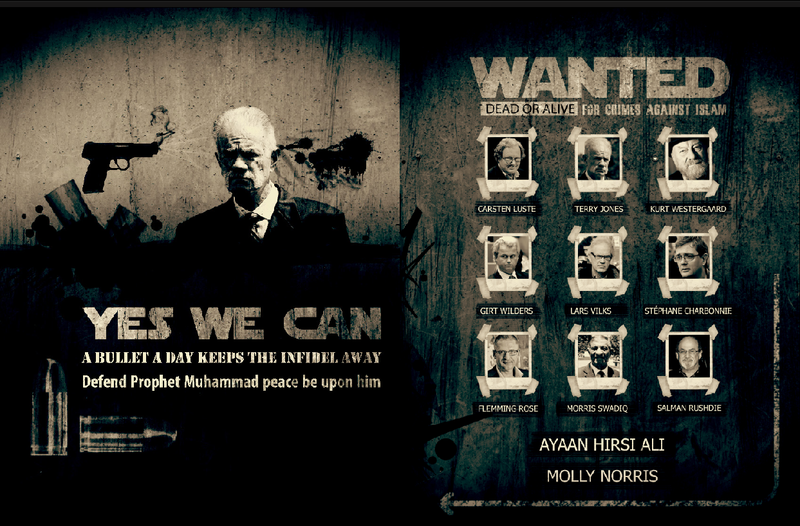 June 2010: AQAP’s Al Malahem Media debut jihadi magazine ‘Inspire’ came out to much ballyhoo in on the jihadi boards online. It soon though became a feared file as members who were downloading it were saying that it was corrupted with malware. I personally had gotten a copy of the tinkered with file as well as the full file after the jihadists had re-uploaded a clean copy. At the time, I figured that some state actor was messing with them and perhaps even had had an abortive effort to trojan the file with some 0day. I imagined that had it been carried off well, there could be an IP address somewhere alerting its owners on just how many compromised systems were reporting back as rooted. Perhaps it was a little of both. 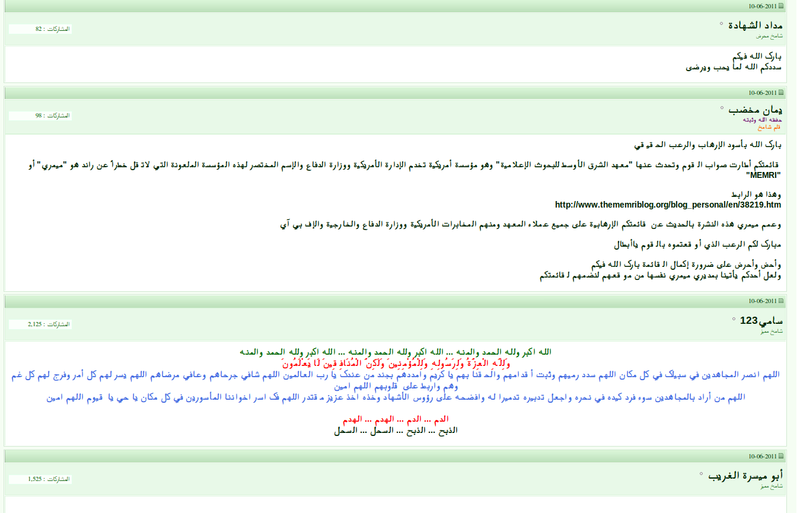 As it happened, shortlybefore this a major jihadi site was yanked offline. In all over 100 terrorists were rolled up in Saudi Arabia after the site, which was run by the CIA and others, had decided it was time to collect their jihadi’s that they had been baiting along. Just goes to show ya mr shahid wanna be, that you may in fact be kanoodling online not with your pal the radical Imam, but instead you’re hanging with a Fed! 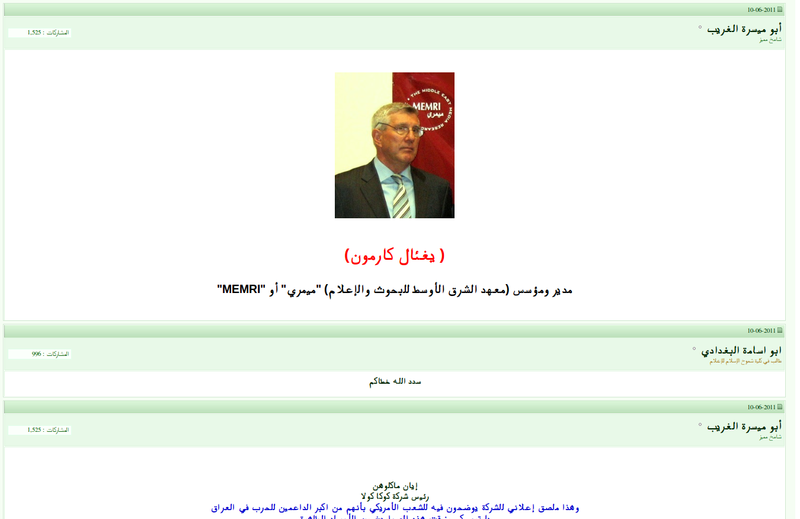 After the roll up of that site, another compromise happened to Al-Faloja. They too decided to shut down their site and re-tool after they learned that they had been spied on by certain individuals online. Of course their site was not so secure as I had pointed out in past posts, and someone finally just popped em. They came back though as have others like Ansar with varying degrees of success in securing their sites. They have been however, pretty cagey about certain things post these attacks.. But… Lately they have gotten lax again. Ideally, I would like to see not only psyops carried out but also a full exploit series against the jihadi’s with 0day. Set up a server somewhere and let it recieve all the traffic after setting out some nice pdf files for them to all “read” All you really need is a little time gathering data to get a good idea of who and where they are, then roll em all up. C’mon guys.. Lets start the 0day lulz.